Last week, I wrote a column comparing the current moment to the McCarthy era in one very narrow respect: how Donald Trump dominates the conversation on the right the way McCarthy did in his day. One must be either for Trump or against Trump, support his claims and tactics or oppose them. As I wrote in another recent column, we’re arguing about the man, not ideas. Many people did not like the column, and there are reasonable criticisms of it. There were also many unreasonable ones that mostly took the form of complaining not so much about what I wrote but that I should have written the column my critics wanted me to write or that I should have simply endorsed “Spygate” in toto. 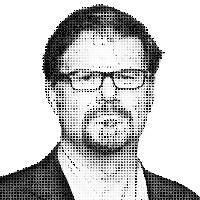 It is a bit rich for my esteemed colleague Jonah Goldberg, one of the most persevering but civil of the Never Trumpers, to write in these pages, as he did a few days ago, that the Trump emphasis on an FBI spy in his campaign was reminiscent of McCarthyism. Senator Joseph R. McCarthy, on the floor of the U.S. Senate on June 14, 1951, devoted eight hours to accusing General George C. Marshall of delivering eastern Europe to Stalin, and China to Mao Tse-tung, in “a conspiracy so immense, as to dwarf any previous such venture in the history of man . . . deserving of the maledictions of all honest men.” He accused Presidents Roosevelt, Truman, and Eisenhower of being Communists or Communist stooges. If Jonah Goldberg can’t distinguish Trump from McCarthy, he won’t recognize the real thing if it reappears. The Trump era is very different from the McCarthy era in many important ways. Chief among them: In the 1950s, Communism was on the march — across borders in Europe and through the institutions of government and academia here at home. Say what you will about Communism (starting with its murderous barbarity), it was a large cause, worthy of the passion it invited. Second, nowhere in the column do I actually compare Trump himself to McCarthy. Again, the point, perhaps poorly made, was that Trump’s personality and tactics are becoming a defining question of who counts as a conservative or a conservative in good standing. Third, while I appreciate Conrad’s compliment about my civility, I should at least point out that I do not consider myself a “Never Trumper” anymore, having abandoned that label once he was elected. Ben Shapiro classifies me — and himself — as a “Sometimes Trumper” in order to distinguish between the “Never Trumpers,” who oppose Trump in every instance, and what might be called “Always Trumpers,” who do the opposite. I prefer the term “Trump Skeptic” because these other terms are too suggestive of a cult of personality. When I agree with Trump or support his policies, I do not change my opinion about the man himself. And since we’re talking about Tail Gunner Joe, let me use him to illustrate the point: Joseph McCarthy was right that Communism was a dangerous threat, but that didn’t change the fact he was a bullying demagogue. One of the reasons I do not like the term “Never Trump” is that many (though certainly not all) of the president’s most ardent supporters use it to do the heavy lifting in their arguments. They deploy it as an anathematizing term, a bit like the red-baiters of yore, to suggest that the merits of someone’s arguments can be dismissed because they stem from some psychological or ideological pre-commitment. Conrad certainly seems to be doing this in his column when he insinuates that I am one of the people who has used the Russian-collusion allegations to undermine Trump. The thing is, however, I have repeatedly voiced skepticism about the whole collusion theory. But because Conrad invests so much meaning in the “Never Trump” label, he assumes what he says about Never Trumpers must logically apply to me. In other words, he’s letting a label do his thinking for him. Lastly, let me just say that I think Conrad is wrong to say Donald Trump is “nothing like Joseph McCarthy.” I have no objection to a weaker claim that the comparison isn’t all that fruitful. But that’s not Conrad’s position. There are many obvious similarities: the demagogic rhetorical excesses, the disdain for getting the facts right before making sweeping charges, the bullying, the tendency to see conspiracies, the tendency to divide the world into illegitimate enemies and righteous friends, and so on. There are also historical connections. One of the most influential people in Trump’s life was his mentor Roy Cohn, who taught him a thing or two. And that just reinforces my point. Conrad uses the absolutist word “nothing” like he does the term “Never Trump” to do make a case that cannot be supported on the merits. We live in a very gray moment, but political protagonists on both sides are determined to use black-and-white language to describe it.